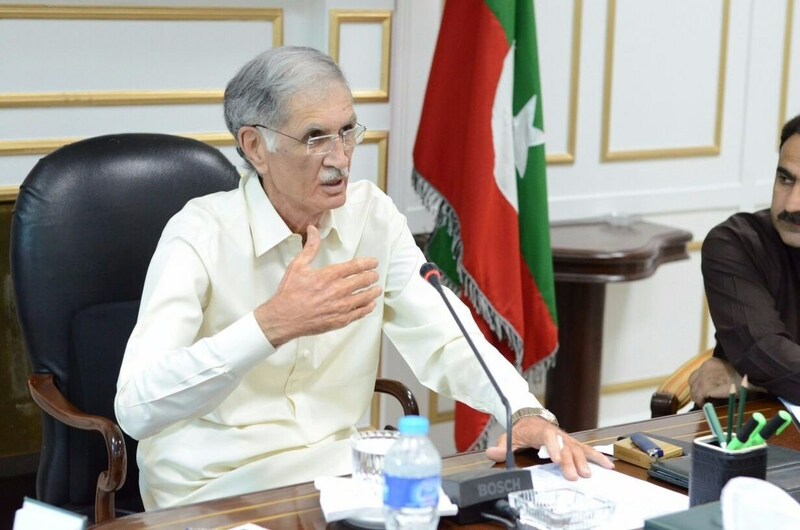 PESHAWAR: Khyber Pakhtunkhwa (KP) Chief Minister (CM) Pervez Khattak presided over a meeting of the provincial cabinet on Thursday that recommended sharing of responsibility between different government institutions for the investigation of drug-related crimes and control of narcotics in the province. Under the approved amendments by the cabinet, Police, Excise, Taxation and Narcotics Control departments and Anti-Narcotics Force (ANF) would have a combined domain in this connection with shared responsibility to investigate and seize narcotics substances, including crystal meth, ecstasy pills, weed, hashish and other drugs. The “Khyber Pakhtunkhwa Control of Narcotics Substance Bill 2017” is the first of its kind in the wake of the 18th amendment to curb the sale and purchase of narcotics in the province. The draft would be sent to the select committee for recommendations to be incorporated for the enactment of the bill from the provincial assembly. The cabinet meeting held here at the Cabinet Room of Civil Secretariat was attended by provincial ministers, chief secretary, additional chief secretary and administrative secretaries. During the meeting, the cabinet took up for debate a 12-point agenda, had a detailed discussion on certain issues and made a number of decisions. The cabinet also approved the procedure for public sector employees wanting to undertake the Hajj pilgrimage. Moreover, the cabinet approved the enhancement in the minimum spending limit from Rs 1 million to Rs 1.5 million royalty on gas and other resources in gas producing districts of KP. It also suggested making district and tehsil nazims as members of the committee for petroleum in the light of the Peshawar High Court (PHC) order. A member of provincial assembly (MPA) would be nominated by the chief minister to head the committee. The chief minister directed the officials concerned to discourage illegal mining in Haripur and Nowshera and directed them to regularise the entire stone crushing industry. The provincial cabinet conditionally cleared the “Relief Amendment Bill 2018” to avoid conflicts between different institutions in terms of their jurisdictions. The cabinet also approved the framing of building control rules of the Galyat Development Authority to regulate construction activities, remove encroachments, tax the buildings, approve the site and building plans and adopting safety measures during construction. The chief minister called upon the departments concerned to replicate this model for Kaghan and Naran, saying that his government had laid down the foundation for a thriving tourism industry in the province to enable locals to earn the maximum amount of money during tourist season. He also asked for details on the pace of progress on Ayubia Chair Lift project. Further, the chief minister directed the officials concerned that the people should be informed about their rights through open courts held at district level. People should be educated about the Right to Know (RTI) laws enacted in the province to discourage malpractices and corruption. The chief minister also directed to give legal cover to the Sehat Insaf Card, a poor friendly initiative of the provincial government for the provision of free healthcare to deserving patients. The cabinet conditionally approved the creation of different tehsils throughout the province and asked the relevant quarters to move a summary for the creation of new posts to overlook the administration of the new tehsils. At the moment, the Election Commission of Pakistan (ECP) had banned the creation of new tehsils because of the ongoing delimitation process in the country. Once the delimitation process was completed, the ban would be lifted and the new tehsils would automatically come into existence. The new tehsils conditionally approved by the cabinet, included sub-tehsil Shahpur in Shangla district, sub-tehsil Shakardarra in Kohat district, sub-tehsil Ranowal/Gali Abam in Karak district, tehsil Harban Basha in Upper Kohistan district, Seo tehsil in Lower Kohistan, tehsil Kolai in Kolai Palas Kohistan district, tehsil Ban Kund in Lower Kohistan, Dour Mera in Tor Ghar, tehsil Panyala in Dera Ismail Khan district, tehsil Bakot in Abbottabad district, while Oagi would be the new district of Hazara, Besham would be sub-division of district Shangla and tehsils Gadezai, Salarzai and Chugharzai would be new sub-divisions of Buner district.